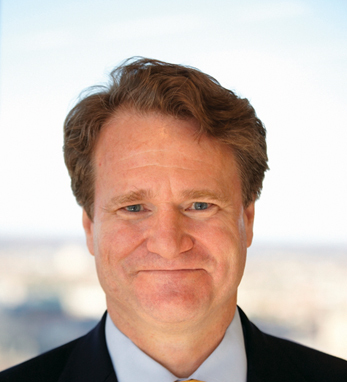 Brian Moynihan is president and CEO of Bank of America. He was elected to his role by the board of directors and took office on January 1, 2010. Brian is a member of the bank’s executive management team. He chairs Bank of America’s Global Diversity and Inclusion Council. Brian previously led several of the company’s lines of business, including Consumer and Small Business Banking, Global Corporate and Investment Banking, and Global Wealth and Investment Management. He also has served as general counsel for the company. Brian joined Bank of America in 2004 after the company’s merger with FleetBoston Financial, serving as president of Global Wealth and Investment Management. He joined Fleet in 1993 as deputy general counsel. Brian is a graduate of Brown University and the University of Notre Dame Law School. He serves on the boards of directors of YouthBuild Boston and the Boys and Girls Clubs of Boston. A fourth-generation Irish American with roots in Cork and Kilkenny, Brian lives in Wellesley, Massachusetts with his wife and three children.